Ken Norton, who fought three memorable fights with Muhammad Ali, breaking his jaw in winning their first bout, then losing twice, and who went on to become the World Boxing Council heavyweight champion, died Wednesday in the Las Vegas suburb of Henderson, Nev. He was 70. 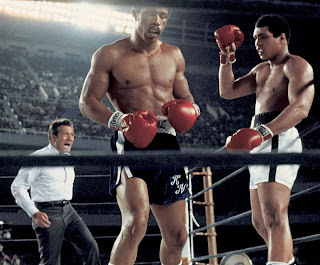 Muhammad Ali, right, knocking Ken Norton back in their third and final meeting, in Yankee Stadium in 1976. Ali won by a decision. Muhammad Ali's cornerman, Wali Muhammad, didn't see the punch that broke the former champion's jaw during his March 1, 1973, fight with Ken Norton. Nobody did. Watching tape of the fight, there is no decisive blow, no jaw-dropping moment to rewind and replay frame by frame. But though he didn't see the blow, there was no denying the blood. Wali had lived a full life, improbably an assistant to both Sugar Ray Robinson and Malcolm X before joining Ali's camp in 1965, and he had seen a lot of things—but never anything quite like this. "I was taking out the mouthpiece and there was more and more blood on it," he told Ali's biographer Thomas Hauser in Muhammad Ali: His Life and Times. Norton was the unheralded challenger. A Joe Frazier sparring partner who had never beaten a top-10 opponent, he was supposed to be a mere tune-up fight. 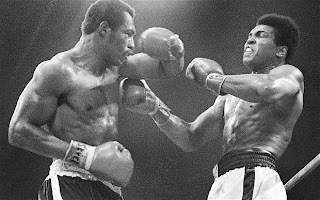 Derisively called "Ken Somebody" by Sports Illustrated and a "tailor-made" fall guy by legendary announcer Howard Cosell, Norton was a 5-1 stepping stone, just another opponent to kill time, while Ali worked out a bout with champion George Foreman. He wasn't expected to put up a fight. Despite standing 6'3" and possessing the sculpted muscles normally only seen in marble, the former Marine was considered an easy target. And yet, by the sixth round, it was clear: Norton wasn't just winning, but he didn't even know he was supposed to be intimidated by the great Ali. As the fight progressed, Wali Muhammad wasn't the only one seeing red. Ali's lawyer, now-legendary promoter Bob Arum, was negotiating to fight Foreman for a prize between $6-10 million. Norton, round after miserable round, was ruining things. In the stands, Frazier watched the fight with glee he couldn't disguise. 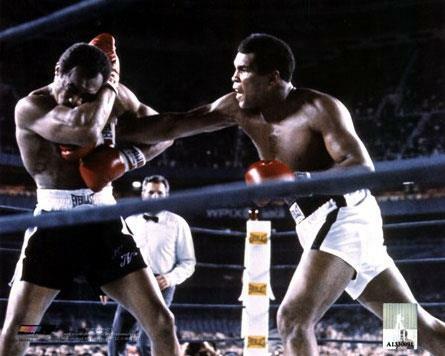 He had beaten Ali to claim the undisputed world championship before Foreman took it from him in turn, but bad blood lingered. Ali had taken Norton lightly, even showing up at a training session and declaring his opponent an "amateur." Frazier had sparred hard rounds with Norton and knew otherwise. Though an Ali loss could have cost him millions, he had a smile on his face as Norton, improbably, shocked the world. Inspired by a hypnotist and a self-help book entitled Think and Grow Rich, Norton possessed an unusual confidence and equally unusual technique. As the fight wore on, it became clear Ali wasn't prepared for it. "He had that awkward style, where he'd shoot his jab up from the waist, and it was very unusual," Ali's former business manager, Gene Kilroy, told Yahoo! Sports. "Most guys throw the jab from the shoulder, and that always gave Ali trouble." While Sports Illustrated thought Norton's style crude, but vibrant, Ali's trainer, Angelo Dundee, knew there was a method to his madness. "With that lurching, herky-jerky, splay-footed movement of his, you just couldn't time him," he told ESPN. 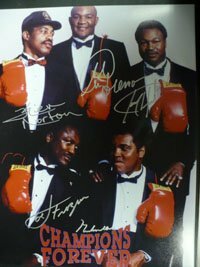 In the 1970s, what some longtime fight fans consider the last great decade for boxing, Norton was a fixture from the time he upset Ali in their first of three fights until he lost a brutal 15-round decision to Larry Holmes while defending his World Boxing Council heavyweight championship in 1978. To recall Norton is to recall half-dozen or so top-tier heavyweights as yet unmatched in any of the ensuing decades. 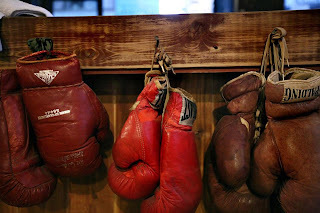 Along with Norton, Holmes and Ali, Joe Frazier, Leon Spinks and George Foreman come to mind as the titans of the era, with Jimmy Young, Ernie Shavers and Jerry Quarry hinting at greatness from time to time but not quite reaching that super-elite level. 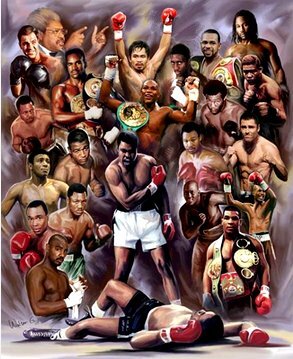 It was the last true golden age for boxing. The 1970s era was truly the age of magnificent heavyweights -- a group that also included Ali, George Foreman, Joe Frazier, Leon Spinks and Jimmy Young. "They called us handsome. Muhammad they called pretty. 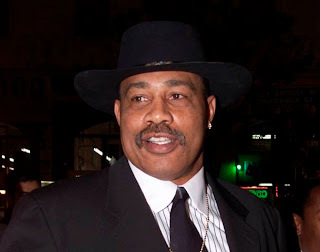 But the fairest of them all Ken Norton," Foreman wrote on his Twitter page Wednesday. Norton was fearless in the ring, using every bit of power in his 6-foot-2-inch, 220-pound body to maximum advantage when he threw his bone-crushing overhand rights and monstrous left hooks. His unorthodox style, crouching at times, dragging a foot and criss-crossing his arms as he stalked his foes, vexed many opponents and gave Norton an edge in many fights. But Norton’s many strengths proved no match against Foreman in their 1974 bout in Venezuela. The undisputed heavyweight champion at the time, Foreman caught Norton unawares with a fierce uppercut in the second round. Norton wobbled and weakened, never again in the fight, and Foreman knocked him to the canvas twice that round before the referee stopped the bout. In addition to the NABF title Norton won from Ali in 1973, he held the WBC heavyweight championship for several months in 1978 after being elevated from No. 1 contender. Spinks refused to fight the No. 1 contender, as WBC rules mandated, and signed for a rematch with Ali instead. The WBC stripped the title from Spinks, making Norton champion. In his first title defense, Norton lost on a split decision to Holmes in what is widely considered one of the best prizefights in history. Norton retired with a lifetime record of 42-7-1, with 33 of his victories coming by knockout. His death was confirmed by his son Ken Jr., an assistant coach with the N.F.L.’s Seattle Seahawks and a pro linebacker for 13 seasons, The Associated Press said. Norton had been in poor health for several years after sustaining a series of strokes, The A.P. reported. Norton defeated Ali on a 12-round split decision in 1973 to capture the North American Boxing Federation heavyweight title. Norton was an exceptionally muscular 6 feet 2 inches and 220 pounds, but a decided underdog in that first Ali fight. Kilroy said that after the fight, Norton visited Ali at the hospital where he was getting his broken jaw wired, and Ali told him he never wanted to fight him again. 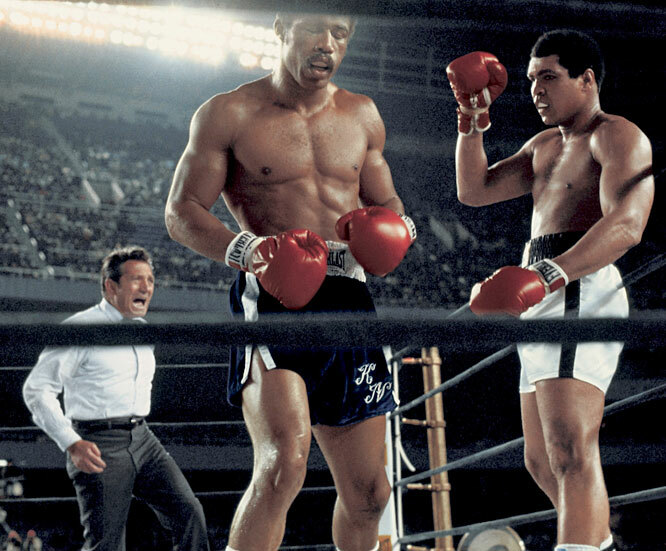 But the second bout in their trilogy came six months later when Ali rallied to win a narrow split decision. 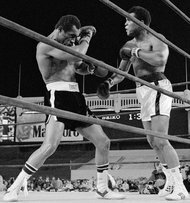 In their final bout, Ali retained his World Boxing Council and World Boxing Association titles when he defeated Norton on a decision that was unanimous but booed by many in the crowd of more than 30,000 at Yankee Stadium in September 1976. In 1977, Norton knocked out the previously unbeaten Duane Bobick in the first round and defeated Jimmy Young in a 15-round split decision in a W.B.C. title elimination series and became the mandatory challenger for the winner of the coming fight between Ali and Leon Spinks. Spinks defeated Ali for the championship but shunned Norton for his first defense in favor of a rematch with Ali. The W.B.C. stripped Spinks of the title and awarded it to Norton. “I must have read that book 100 times while in training, and I became a stronger person for it,” BoxRec.com quoted him as saying. He said that he believed in the book’s philosophy that a person could do the unexpected if he put his mind to it. After having retired for a time, Norton returned in 1980 and defeated the previously unbeaten Tex Cobb on a decision. The next year, Gerry Cooney, ranked No. 1 by the W.B.A. and the W.B.C., knocked Norton out in the first round in what became his final fight. Norton won 42 fights (33 by knockout), lost seven times and fought one draw. Norton who was nicknamed "The Black Hercules", acted in many movies, most notably the 1975 Hollywood film “Mandingo,” in which he played the slave Mede, who is trained to fight by his owner. The character of Appollo Creed in "Rocky" was originally going to be played by Norton, but when he back out of the role, Carl Weathers took the job. Norton was involved in a bad car accident in 1986. He recovered, and three years later he was inducted to the World Boxing Hall of Fame. Reflecting the strong athletic pedigree, one of Norton's sons, Ken Jr., played in the National Football League for the Dallas Cowboys and San Francisco 49ers. Tributes are quickly pouring in for Norton, who was once given the title of the "Father of the Year" by the Los Angeles Times in 1977. "My heart has been heavy since hearing the news earlier today," boxer Larry Holmes wrote on Twitter. "He was a good man. Former heavyweight champ Mike Tyson said he met Norton when Tyson was still an amateur boxer. "Today a great man passed away," Tyson wrote on Twitter. "A legend in the boxing world and a good man. 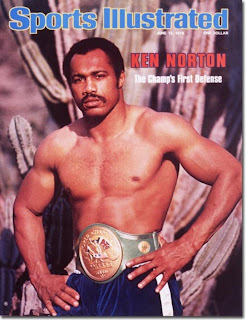 "Ken Norton was always nice to me even when I was just an amateur fighter. He always treated me like I was somebody. Remarkable man. Condolences to Ken Norton's family on this very sad day."